Transcend has launched industrial microSDHC cards in India, designed to deliver outstanding reliability for mission-critical applications. The industrial microSDHC cards are built with high-quality MLC NAND Flash chips, are meant for non-stop applications that are often exposed to extreme operating environments. Transcend's new industrial-grade microSDHC cards offer excellent temperature flexibility from -40°C to 85°C despite their compact size. They also feature shock and vibration resistance, and very low power consumption designed to give performance and reliability advantages of industrial memory cards to small form factor devices. The Transcend industrial microSDHC will work well with industry-standard microSDHC equipped devices, such as handheld bar code readers, POS terminals, wireless communication devices, embedded systems, medical computing, set-top boxes, surveillance systems, portable vehicle navigation systems, and more. According to Transcend, its industrial-grade microSDHC products undergo extensive reliability testing across stages of production, and feature built-in Error Correction Code (ECC) monitors. With a Class 10 speed rating, they deliver a minimum read/write speed of 10MB/s. 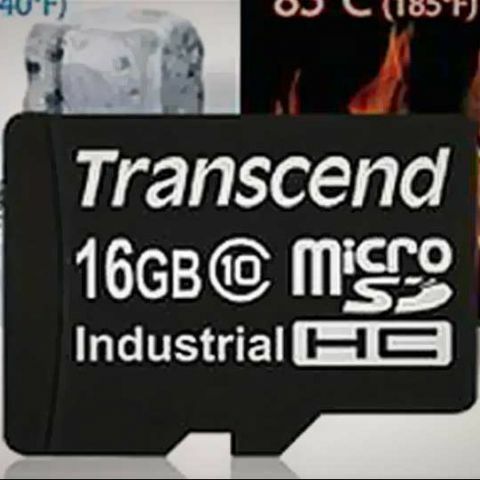 Transcend's industrial microSDHC cards are available in 4GB, 8GB and 16GB capacities, at roughly Rs. 270, Rs. 360 and Rs. 900, respectively.